- Accuracy: Normally better than ±1% for velocity above 0.2m/s. 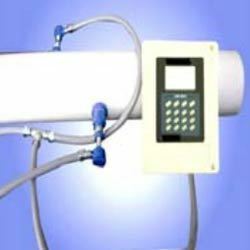 We are leading manufacturers of Ultrasonic Flow Meter. Order no. : PCE-TDS 100HUltrasonic Flow Meter PCE-TDS 100H PCE-TDS 100H is a portable handheld clamp-on ultrasonic flow meter used for non-invasive, unobstructed and highly accurate measurements of the flow velocity of liquids in metal, plastic and rubber pipes and tubes with a diameter of 57 … 720 mm / approx. 2 ... 28 in. we are manufacturer of Ultrasonic Clamp Flow Meter. 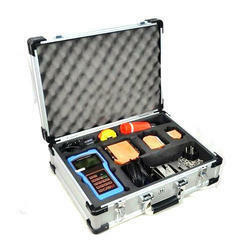 MTS Offers Portable Ultrasonic Flowmeter for Water flow & energy conservation audits. Ultrasonic Non- contact range of flowmeters with Transit Time & Doppler operating principle for various applications of clear liquids & slurry types liquids. Clamp-On Ultrasonic Flow Meter The FUS1010 clamp on ultrasonic flow meter provides highly accurate measurement of liquids and gases. With no pressure drop or energy loss, a wide turn-down ratio and no need to cut the pipe or stop the flow, installation is easy and maintenance is minimal.